The people all challenge O'Reilly's depiction of Buenos Aires as a "war zone" and a "combat situation." They also doubt his description of a CBS cameraman being injured in the chaos. "Nobody remembers this happening," said Manny Alvarez, who was a cameraman for CBS News in Buenos Aires. Jim Forrest, who was a sound engineer for CBS there, said that when he heard O'Reilly retell the Argentina riot story to interviewer Marvin Kalb several years ago, he contacted Kalb and said "I was on that crew, and I don't recall his version of events." The contradictions come several days after Mother Jones, a left-leaning magazine, first reported about the discrepancies in O'Reilly's claims about his coverage of the Falklands War. O'Reilly was a young correspondent for CBS News at the time, assigned to cover the war from Buenos Aires, which was more than 1,000 miles from the offshore conflict zone. In the years since, O'Reilly -- now the biggest star on Fox News -- has repeatedly referred to his experience in the "war zone." In his 2001 book, "The No Spin Zone," O'Reilly wrote, "I've reported on the ground in active war zones from El Salvador to the Falklands." On his show "The O'Reilly Factor" in 2013, O'Reilly told a guest, "I was in a situation one time, in a war zone in Argentina, in the Falklands, where my photographer got run down and then hit his head and was bleeding from the ear on the concrete. And the army was chasing us. I had to make a decision. And I dragged him off, you know, but at the same time, I'm looking around and trying to do my job, but I figure I had to get this guy out of there because that was more important." Mother Jones challenged some of these claims. O'Reilly responded by accusing the magazine of trying to smear him to hurt Fox News, and said the report's co-author, David Corn, is a liar and an "irresponsible guttersnipe." Eric Engberg, a CBS correspondent who was also in Buenos Aires at the time, defended Corn in a Facebook post on Friday and said, "It was not a war zone or even close. It was an 'expense account zone.'" Longtime NBC News correspondent George Lewis, who was also there at the time, agreed with Engberg, writing on Facebook, "Cushiest war I ever covered." Did O'Reilly's photographer get "run down" and bloodied? CNN has interviewed seven people who were there for CBS, and none of them recall anyone from the network being injured. "If somebody got hurt, we all would have known," Alvarez said. In a Friday interview with radio host Hugh Hewitt, O'Reilly said the photographer's last name was Moreno. Roberto Moreno was there for CBS. He now lives in Venezuela, and he declined to comment to CNN. But Mia Fabius, who was the office manager for the CBS Miami bureau at the time, has stayed in touch with Moreno for decades, and she said Moreno has never spoken about any injury in Argentina. Further, Fabius said no injury report was ever filed. Engberg, Alvarez and Forrest spoke on the record about their recollections of the Argentina coverage. Four other people who were there for CBS spoke on condition of anonymity, some because they still work in the television industry and others because they don't want to be publicly criticized by O'Reilly. All of the people said they're unaware of any civilians being killed in the riot. In O'Reilly's 2001 book, he said "many were killed." "There were certainly no dead people," Forrest said. "Had there been dead people, they would have sent more camera crews." Alvarez called the claims of deaths "outrageous, outrageous." "People being mowed down? Where was that? That would have been great footage. That would have turned into the story," he said. CNN's report from Buenos Aires at the time described "a squad of tear-gas-armed troops" and a crowd "hurling coins, rocks, and even bricks at both police and journalists," but no deaths. 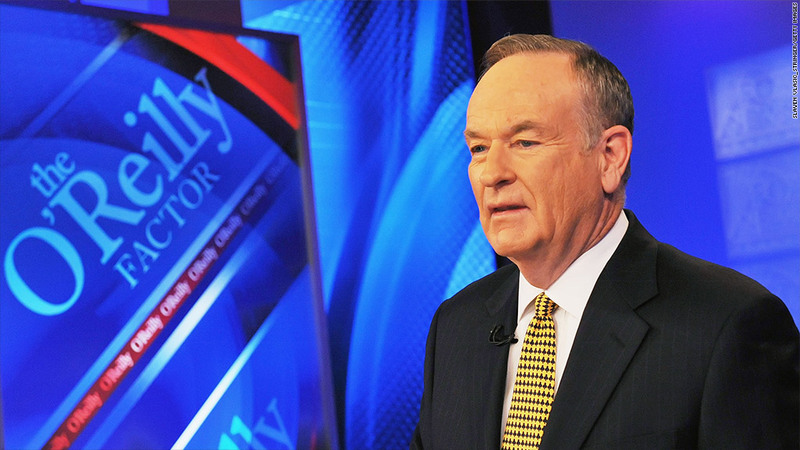 O'Reilly has repeatedly defended his claims, including on Fox News on Sunday morning. "I don't know if he was there," O'Reilly said, implying that Engberg may not have witnessed the riot. He called Engberg "Room Service Eric," alleging he often stayed in his hotel during unfolding news events. Speaking on CNN, Engberg called that "the most absurd thing I've ever heard" and said "I never ordered room service during a riot." Engberg also said he, as well as an entire team from CBS, was out in Buenos Aires and in a position to see the protest. O'Reilly also cited a New York Times account of the riot that said "one policeman pulled a pistol, firing five shots over the heads of fleeing demonstrators." This supports the depiction of a dangerous protest, though does not confirm O'Reilly's claim that people were killed that night.